A fundraiser for the EVE Online player killed during the attack on the American consulate in Libya has more than doubled its original goal. 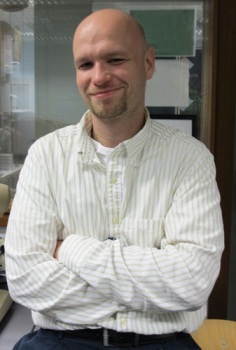 Sean "Vilerat" Smith was a Foreign Service Officer with the U.S. State Department and also a long-standing and highly regarded member of the EVE Online community who, in the words of Goonswarm leader The Mittani, "had influence over the grand game and the affairs of Nullsec [that] cannot be overstated." He was tragically killed on September 11, along with U.S. Ambassador to Libya Chris Stevens and security personnel Glen Doherty and Tyrone Woods, in a riot at the consulate sparked by the low-budget film Innocence of Muslims. Shortly after his death, a member of the Something Awful community launched a fundraiser to help Smith's family cope with his loss and also to establish a college fund for his two children. And then something awesome happened: In less than 12 hours, donations totaled more than half of the fundraiser's original goal of $50,000, leading organizers to double it. And now that goal has been hit, and so it's been raised again, to $150,000. "I do not know how to express my gratitude on behalf of my children," Smith's wife Heather wrote in response to the outpouring of support. "I am so very touched at the love and support you all have shown us and I will read each and every post made in honor of Sean. Peace and love to all of you. Hold your family close and remember what is important." The "Benefit for Sean Smith's Family" runs until December 1. All funds raised go directly to Smith's wife; donations may be made at YouCaring.com.